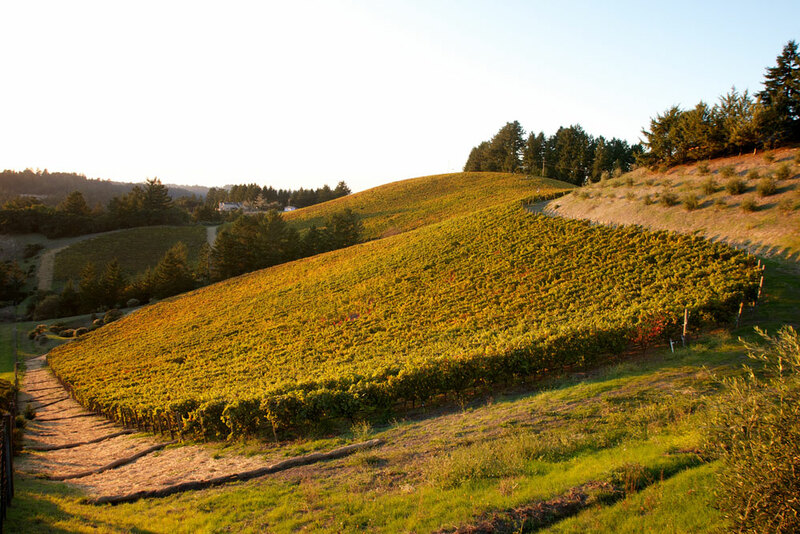 Welcome to the Fall 2015 newsletter from Rhys Vineyards! 2013 was the first of a trio of warm, early and dry vintages in California. A prolonged weather pattern featuring pronounced high pressure over the Pacific Northwest has lead to serious drought and unprecedented winter warmth in our state. This early warmth has caused our grapevines to wake up ahead of schedule and produced the earliest harvests on record. While these conditions might not fit our expected criteria for an ideal vintage, the results have been extraordinarily positive. While a warm, early year could often mean that grapes are ripening in high heat, this stubborn weather pattern seems to moderate in mid-summer giving us nearly ideal, mild ripening weather. Looking back over our the last 15 vintages, it is becoming clear that as long as we avoid high harvest temperatures, the warm, dry years can produce some of our best vintages. So how about the 2013 wines? To generalize they are gorgeous, attractive wines with terrific harmony and surprising freshness. The fruit character leans toward red fruit with ripe tannins and great balance. A recent blind tasting of the 2013 wines alongside prior vintages served only to increase our enthusiasm for a vintage we were already quite excited about. This is often the best value in our lineup and the 2013 is no exception. It is red fruited and delicious and will offer exceptional early drinking pleasure. The 2013 Alpine Chardonnay shows off the vineyard’s characteristic laser-like focus and driving oyster shell salinity. Like earlier great Alpine Chardonnays, this will age quite well. Alpine has been on a roll recently as the vines have begun maturing. 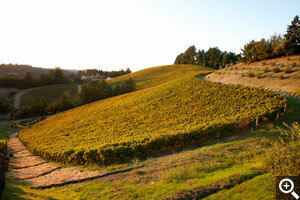 The vine age seems to lend the Pinots a more red-fruited character with a classic mountain soil minerality. The 2013 shows both concentration and poise and should have a very long life. The 2013 Home illustrates the combination of perfectly ripe fruit and structure that can only come from the Santa Cruz Mountains. Always a home team favorite, this is a terrific wine for cellaring, as it should age gracefully for the next 10-20 years. This vintage of Horseshoe Syrah beautifully showcases the pepper, game, olive and dark fruit we’ve come to expect from Horseshoe. We believe this and the ’13 Horseshoe are by far the best yet produced from this cool site. 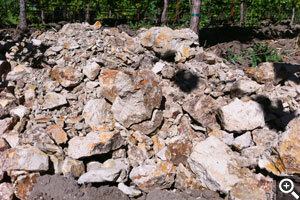 Chalky white Purissima shale bedrock underlies all of Alpine. 2003- From a single barrel made from very young vines. Never released commercially. Hay and rocks on the nose. Complex palate presence. Has reached its maturity plateau but years to go. 2004- Stylistically an outlier. Riper and massive in scale. Great Alpine Chardonnay complexity but different in style compared to subsequent vintages. 2005- From the single barrel produced. Matchstick nose. Very intense and steely. Racy acidity. Fresh. Evolves and opens with a couple of hours of air. 2006- Resolving but still youthful. Delicious and bright. Generous and precise fruit with oyster shell complexity. A real success for the vintage. 2007- This wine has been quite tight for years but is now opening to reveal a fantastic, intense, delineated and very vibrant Chardonnay. It captures the great saline and citrus oil qualities of the vineyard. Will age and improve for more than a decade. 2008- This has everything Alpine can deliver with intense fruit, great saline complexity and precision. It is resolving but still youthful with many years ahead. 2009- Similar to the ’06 in style. A resolving middleweight with delicious fruit and precision. Many years ahead. 2010- More round and evolved. Creamy and intense. Doesn’t seem to have the stamina or freshness of most vintages. 2011- A very attractive but unusual vintage with powerful lemon curd and stone fruit notes. Broad and rich with great acidity and salty character. 2012- Young and vibrant. Very racy and intense. It will be fun to compare to the ’13 in the long run. 2013- Great rocky nose. Chalky, racy and almost digital in delivery. Very young, fresh and promising. The original east facing acre of Alpine Chardonnay. 2004- Ready with complex sous bois aromatics. Riper vintage but still balanced. Just one barrel made. 2006- Showing very well. Resolving and beautiful. A real success from a relatively weak vintage in CA. 2007- Evolving and enticing nose but still quite structured on the palate. Needs time in the cellar or air if opened. 2008- Savory structured and still a little primary. Structurally similar to a young Burgundy. Can be enjoyed now but the best is yet to come. 2009- A great surprise. A ripe year but drinking very similarly to the ’06. Beautiful aromatics. Still improving but a very enjoyable now. 2010- Fantastic aromatics but still needs to come together on the palate. Might improve with air now but better to keep cellaring. 2011- Not as evolved as other ‘11s in our lineup. A bit tighter and less ripe. Needs time. 2012- This has tightened since last year. Great freshness and structure. It shows great promise but will need another 1-3 years of cellaring. 2013- A real surprise as this is showing terrific today. Fresh but no youthful roughness. A real beauty that will be exciting to follow. Our favorite Pinots coming out of this comprehensive lineup were 2006, 2008, 2009, 2012 and 2013. 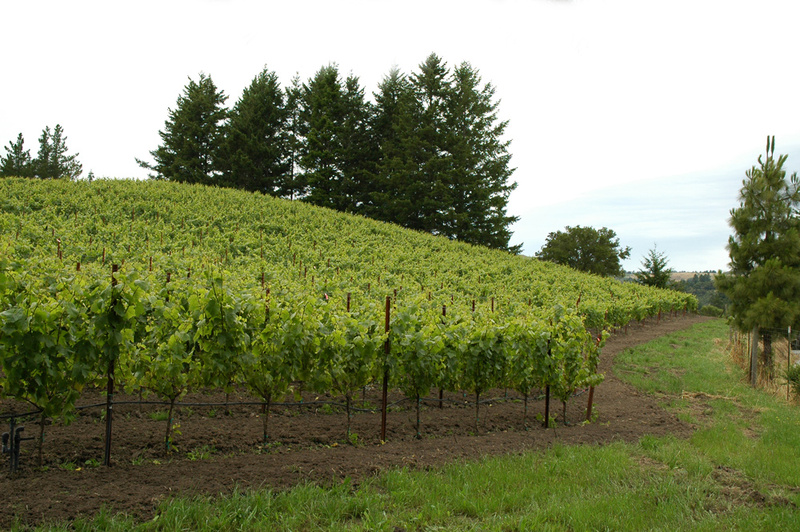 After exceptional production in 2013, the 2014 vintage featured good (if not terrific) yields. At the risk of stretching our credibility, we think the quality again is extremely high. Also, there will be enough wine to offer 2014 Futures this winter though the quantities available will be lower than the 2013 vintage. Meanwhile 2015 is shaping up to be an extremely low-production year in the Santa Cruz Mountains and there will definitely not be enough production to offer Futures from Alpine or Horseshoe vineyard from this vintage. Some customers have asked if it is possible to spread out our releases a bit. At the same time, we would like to be able to keep all regular-release wines at least one year in bottle before shipping. In order to accomplish this we will be releasing the 2013 wines in three different offerings (versus the normal two). After this, the schedule of regular offerings will settle out with two per year occurring in November and May/June. This schedule will also allow us to have orders packed and ready when the right shipping weather occurs. In vintages with enough production, Futures will be offered between October and bottling in March.